3ND ANNUAL PLEIN AIR COMPETITION IN SILVER CITY, NM. 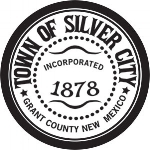 The Silver City Art Association (SCAA) and Mimbres Regional Arts Council (MRAC) invites Plein Air artists to “Paint Out Silver!” in conjunction with the Silver City Blues Festival. Works depicting the Blues Festival in Gough Park, 1201 N. Pope St., Silver City or anywhere in and near the Silver City area. Open to all artists over the age of 18 and all media. $10 advance artist registration by May 10, 2019. Event day registration (May 24) $15 (cash only). 7:30am-9:00am Stamp all supports (up to 3 stamped supports per artist) at Visitor Center Parking Lot, 201 N Hudson St., Silver City, NM. Pay $10 entry fee or show e-receipt from e-RSVP to collect Entrant’s Goody Bags and registration and Visitor Center “hold harmless” documents, then go paint. 2:30 pm pick up all artwork. Artist’s who choose to can deliver their art to the Visitor Center (201 N Hudson, Silver City) for June Exhibition and voting for People’s Choice Award (May28th-June30). MRAC will award Best of Show – $250, (2) Awards of Distinction of $125. Visitor Center will host the Plein Air Competition art exhibit for the month of June. People’s Choice will be awarded June 21st, 4PM-5:30PM at the Awards Reception at the Visitor’s Center. Plein air painting gear, framing materials with wire hangers, hats, water, sunscreen, desert appropriate clothing, bug repellent, etc.